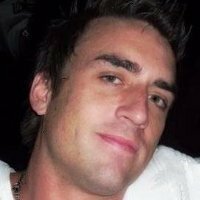 RepReboot announces the addition of Marc Sooter to Technical Management Team. RepReboot has announced today that they have added Technologist and Software Architect marc Sooter to the Technical Management Team. In his role, Mr. Sooter will contribute to the design and development of RepReboot's advanced Reputation Management System. "We take our approach to the technology we're building very seriously," says Daniel Anton, "and having someone with the experience and foresight of Marc Sooter leading the team means we can expect our system to thrive where our competitors have proven to fall short." Mr. Sooter brings his system architectural and business development experience from high level positions within organizations such as the Internal Revenue Service, AAA Mortgage, and Techsys Business Systems. RepReboot is an Online Reputation Management Service with a core area of focus on search engine results and branding social signals.